Below is a comprehensive list of hotels in Parish Church of St Edward. Use the sort links to refine your search or to find featured accommodation in Parish Church of St Edward. Many of our hotels in Parish Church of St Edward feature no booking fees and best price guarantee when booked through the Pictures of England website. To list your hotel in Parish Church of St Edward, click here. 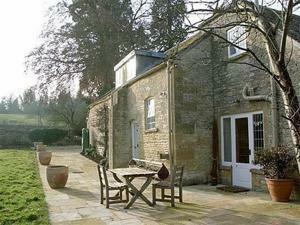 Featuring a barbecue, Weavers Cottage is a holiday home located in Stow on the Wold. The unit is 38 km from Oxford. The kitchen is fitted with a dish.. 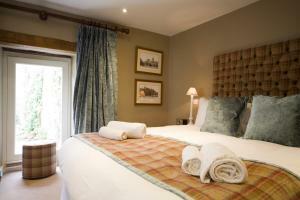 Featuring free WiFi and a restaurant, The Kings Arms Hotel offers accommodation in Stow on the Wold. Guests can enjoy the on-site bar. Free private pa..
Set in Stow on the Wold, 38 km from Oxford, White Hart Hotel boasts a restaurant, bar and free WiFi throughout the property. Guests can enjoy the on-s.. In the centre of Stow-on-the-Wold, the Cotswold Garden Tea Rooms offers characterful bed and breakfast accommodation with a pretty courtyard garden. G.. Situated in Stow-on-the-Wold, in the heart of the Costwolds, Stuart House Boutique Bedrooms offers en suite accommodation with free WiFi. This guest h..
B - Simply Rooms is a family-run property which offers accommodation in Stow-on-the-Wold. 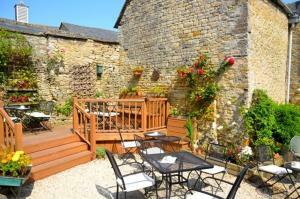 It offers a quiet setting, 150 metres from the village squar.. Situated in Stow on the Wold in the Gloucestershire Region, this holiday home is 37 km from Oxford. The unit is 29 km from Stratford-upon-Avon. Free W.. The traditional Cotswolds inn The Bell at Stow offers luxurious en suite rooms alongside its cosy bar and restaurant in Stow-on-the-Wold. With free on.. 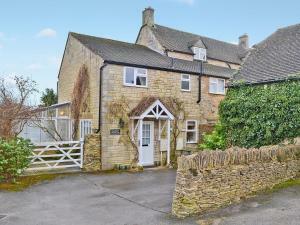 Situated in Stow on the Wold, this holiday home is located 37 km from Oxford. The property is 29 km from Stratford-upon-Avon and features views of the.. 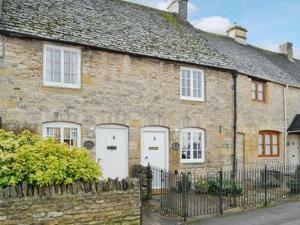 Featuring a garden, The Bothy Cottage is a holiday home situated in Stow on the Wold. The property is 38 km from Oxford and boasts views of the garden.. Located in Stow on the Wold, this holiday home is 37 km from Oxford. The property features views of the garden and is 29 km from Stratford-upon-Avon. 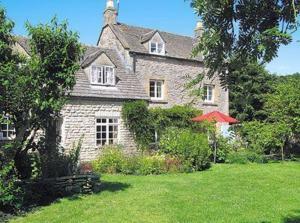 ..
Old Forge Barn offers pet-friendly accommodation in Stow on the Wold. The property is 37 km from Oxford and free private parking is available. 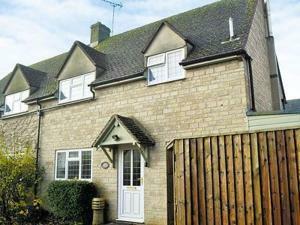 Free Wi..
Set in Stow on the Wold, this holiday home is situated 37 km from Oxford. The property is 29 km from Stratford-upon-Avon and features views of the gar..
Set in Lower Swell, this holiday home is 39 km from Oxford. The property boasts views of the garden and is 29 km from Stratford-upon-Avon. The kitche..
Set in Stow on the Wold in the Gloucestershire Region, this holiday home is 39 km from Oxford. The property is 29 km from Stratford-upon-Avon and free..
Jay Barn offers pet-friendly accommodation in Stow on the Wold, 35 km from Oxford. 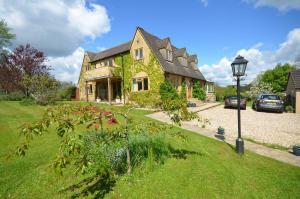 The property is 31 km from Stratford-upon-Avon and boasts views of .. Featuring free WiFi throughout the property, Trinity House Upper Oddington offers accommodation in Stow on the Wold. Free private parking is available.. 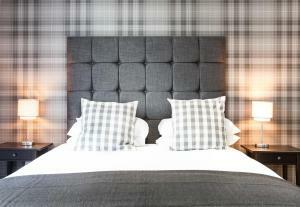 The Warren offers pet-friendly accommodation in Stow on the Wold. The property features views of the city and is 34 km from Oxford. There is a dining.. Located in Stow on the Wold, this holiday home is set 34 km from Oxford. The property is 31 km from Stratford-upon-Avon and free private parking is pr..